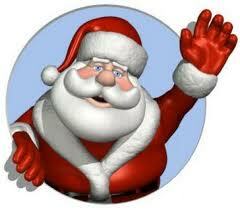 There will be NO SCHOOL next Wednesday, November 27th through Friday, November 28th. (Please Note: There will also be no District blog update for next week due to the holiday.) School will resume on Monday, December 2nd. Have a safe and happy Thanksgiving holiday! Olmsted Falls recently received National Certification as a Project Lead The Way Pre Engineering School at the Ohio PLTW teachers’ conference in Sandusky. The school also had two students, Matt Bender and Moises Garcia-Ponce, provide at the conference their experienceS in the SkillsUSA Mobil Robotics Competition in Kansas City last year. 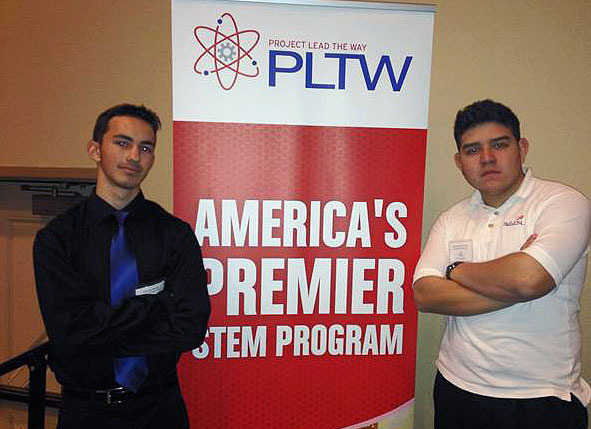 Project Lead The Way – PLTW – is the leading provider of rigorous and innovative Science, Technology, Engineering and Mathematics (STEM) education curriculum programs used in elementary, middle and high schools across the nation. STEM education is at the heart of today’s high-tech, high-skill global economy. The programs develop critical reasoning and problem-solving skills that will help make students the most productive in the world. For more photos of the event, click HERE. For more information about PLTW, click on these two websites: http://www.pltw.org/ and http://www.pltwohio.org/. FALLS-LENOX FUNDRAISER PICK-UP – TONIGHT!! THURSDAY, NOVEMBER 21ST! Just a reminder: All ECC and Falls-Lenox parents should pick up their items from the Falls-Lenox fundraiser between 3-7:30 p.m. Thursday, November 21st, in the LENOX gym during the Parent Teacher Conferences. ATTN: KINDERGARTEN STUDENTS – WEAR RED, WHITE, BLUE TOMORROW! Attn: All Kindergarten Parents! All kindergarten students are encouraged to wear red, white and/or blue TOMORROW, Friday, November 22nd, in honor of a special visit from State Senator Tom Patton. 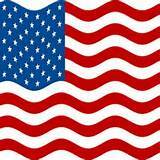 Senator Patton will be visiting the ECC tomorrow morning for a special flag presentation. Watch the next blog for photos! O.F. SCHOOL DISTRICT BUS DRIVER FEATURED IN SUN NEWS AND CLEVELAND.COM. 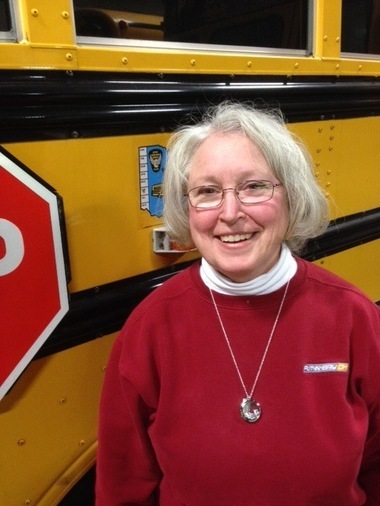 Olmsted Falls bus driver Debbie Gordon, winner of last year’s Driver of the Year award, was highlighted on Cleveland.com and will be in the Sun Post-Herald discussing her experiences as a school bus driver. She said she drives 86 miles each school day and some of her more unusual bus riders were dogs, who tagged along with their kindergarten families or jumped on when they saw an open door and lots of windows. Click HERE for the online story. For those unable to attend the parent/community safety meeting hosted by District officials and local safety forces on Sunday, November 10th, we have posted a document that provides an overview of the information that was covered at the meeting by Superintendent Dr. Jim Lloyd. To view the document, which features the overview as well as commonly asked questions which were covered at the community meeting, please click HERE. Parents are encouraged to contact the Board of Education office with any additional questions. 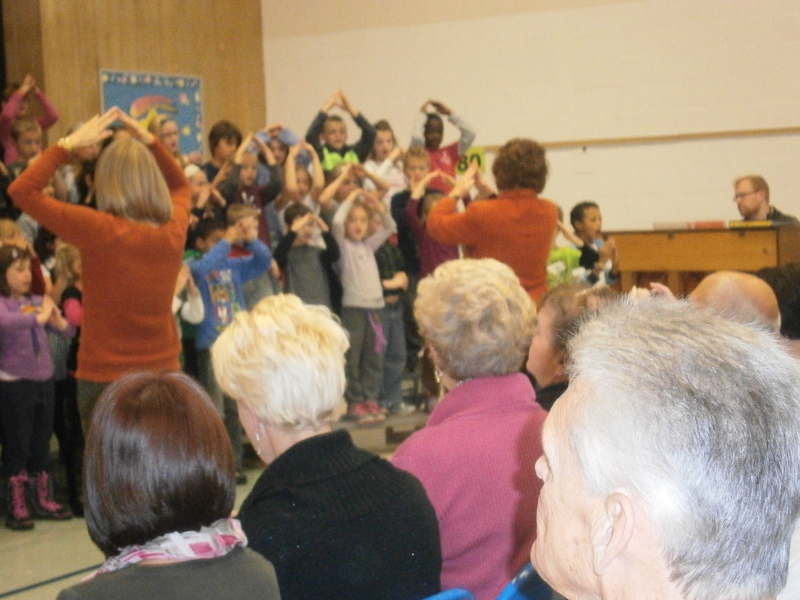 Falls-Lenox hosted a Silver Linings Day last week for grandparents of second-grade students. The grandparents enjoyed donuts and coffee, a visit to the classroom where they completed an activity with their grandchild and a concert/sing-along. The grandparents enjoyed the morning, and the opportunity to visit their grandchild at school. 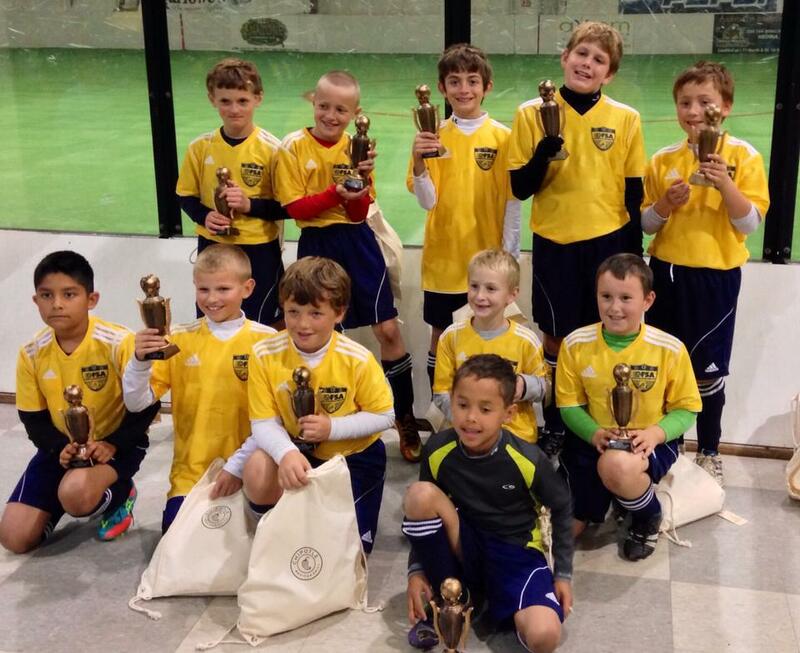 Prizes were given for those who traveled the farthest – Utah- and the most grandkids – 33! 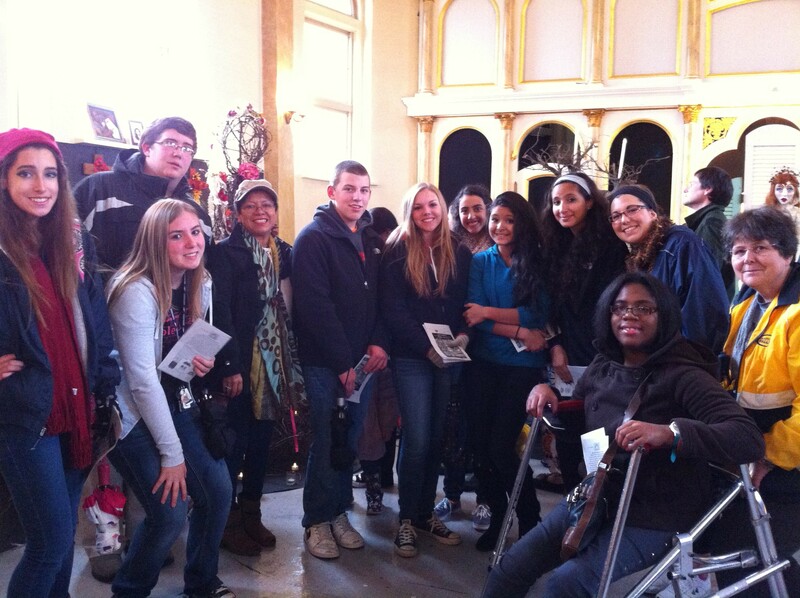 Students and adults had a great time together. To view a photo gallery, click HERE. Come see the 2013-14 Varsity Bulldogs in the first “Blue & Gold” Scrimmage! Come see many former Bulldog players from years past in the Alumni Game!!! We are asking that fans donate a canned good(s) for a local food bank at the door! 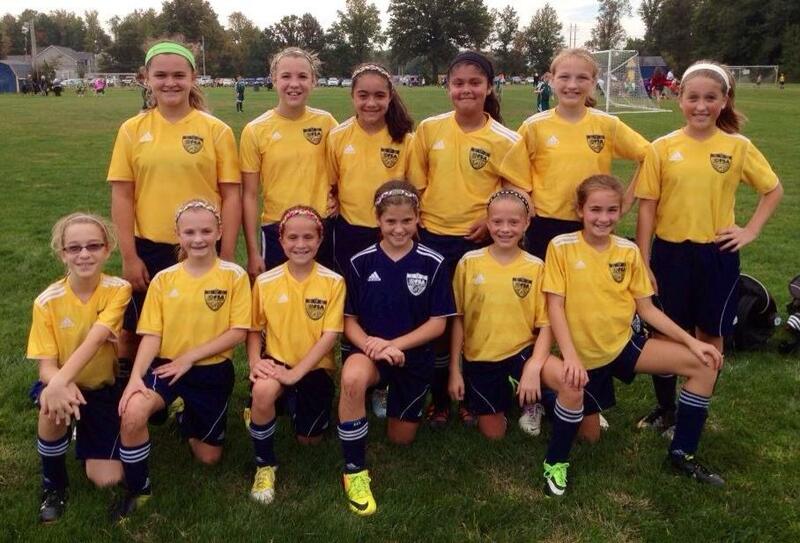 Any questions regarding the event, please contact Coach Kevin Ciolek at kciolek@ofcs.net. OFHS TO HAVE ITS FIRST BOOK FAIR – OPEN NOW! Visit the first-ever Book Fair at OFHS in its library. The event will run from 7 a.m. to 3 p.m. Thursday, November 21st; Friday, November 22nd; Monday, November 25th and Tuesday, November 26th. It also will be open during Parent/Teacher conferences. The location for this month’s OFHS PTA meeting – scheduled for Monday, November 25th at 7:00 p.m. – has been changed to the HS Auditorium. While at the High School for Parent-Teacher Conferences on Monday, pop in to get local scholarship hints for your graduating senior or for future reference. Also, be sure to stop by the first-ever Scholastic Book Fair at OFHS (details above). 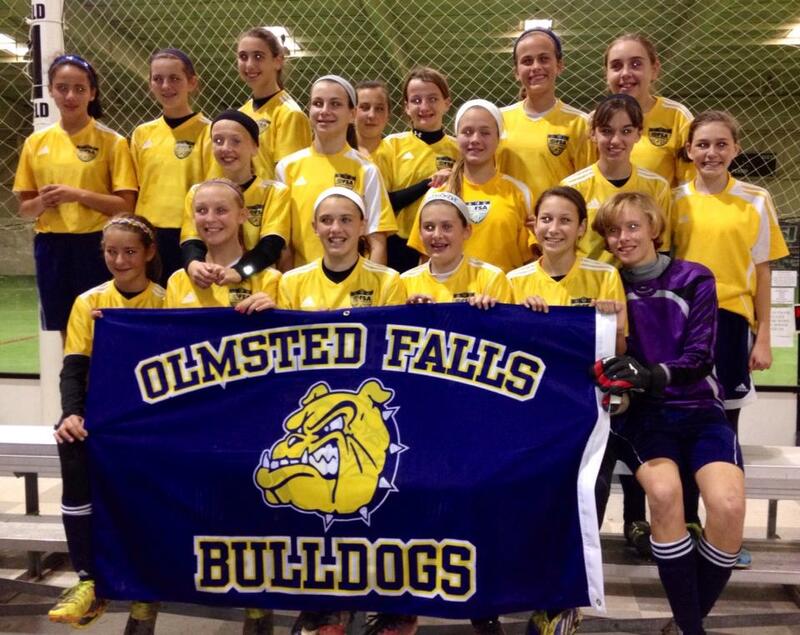 OFMS WEB REUNION EVENT SCHEDULED FOR THIS TUESDAY, NOVEMBER 26TH! Attention all 6th graders…We are excited to announce that our second annual WEB Reunion will be hosted in the Middle School Cafetorium on Tuesday, November 26, 2012. Please arrive to the middle school at 8AM. For those students who take the bus – come in as soon as your bus arrives! We cant wait to see everyone and catch up on your school year! The party is hosted by the OFCS Helping Hands students, and people of all ages and ability levels are invited to attend. We will have a live DJ playing music for dinner and then dancing. The event will take place in the OFMS Cafetorium. Dinner is being catered by Tony K’s. Crafts and games will also be available for all ages to enjoy. It’s a great way to start the holiday season with your family & friends! **Please click HERE to download the form. Return the form and money for dinner to Mariel Krakowiak @ OFHS by Tuesday, November 26. Email Mariel Krakowiak with any questions: mkrakowiak@ofcs.net. Mrs. Robyn Eidam is an OFIS fourth-grade math and language arts teacher. She has a Bachelor’s degree from Ohio University and a Master’s degree from Kent State University. She is involved with the K-Kids, a service organization within our community. 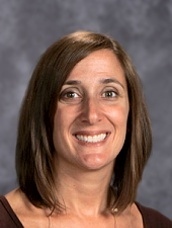 Mrs. Eidam enjoys being a Bulldog teacher because she loves seeing the “light bulbs” go on when the kids “get it.” She has two daughters, Allison, 6 and Hannah, 3. In her spare time, she likes reading and eating. 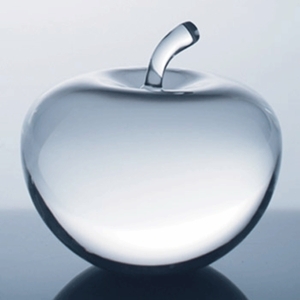 CRYSTAL APPLE AWARD – DEADLINE FOR FIRST RECOGNITION PERIOD TOMORROW, 11/22! Is there a teacher who inspired, challenged, supported or helped you realize your full potential? The Northeast Ohio Media Group is accepting nominations for the Crystal Apple Award. Bryant & Stratton College is the award’s co-sponsor. The nominee must teach full time in any grade K-12 public, private or parochial school within the Plain Dealer’s seven-county distribution area. There are four recognition periods, with an independent panel of judges selecting three outstanding educators, one from K-6, 6-8 and 9-12. 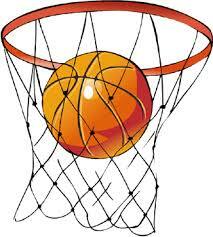 The recognition periods deadlines are Nov. 22; Jan. 31, 2014, Feb. 28, 2014 and March 28, 2014. 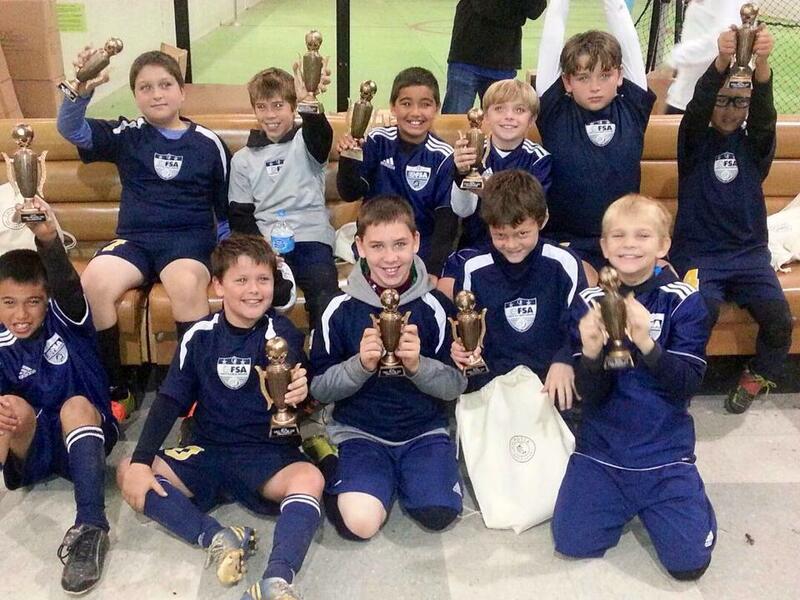 They will be recognized at a surprise presentation at their schools and invited to a May 2014 awards banquet. Students 13 or older may nominate an educator by going to THIS SITE and following the instructions on the form in writing 175-750 words why they deserve this honor. Students younger than 13 should mail their nomination to The Northeast Ohio Media Group Crystal Apple Award, 1801 Superior Avenue, Cleveland, Ohio 44114 or fax to 216-999-4986. Nominations must include the name, subject/grade taught, school address as well as the entrant’s name, present grade and home address and phone. All SWC Honors went to the following: Christian Klein, junior, All SWC First Team; Erric Skutt, senior, All SWC Second Team and Mike Payne, senior and Ryan MacDonald, junior, All SWC Honorable Mention. Seniors Erric Skutt and Mike Payne were named to the All-Ohio Academic Team for maintaining a GPA above 3.7. For maintaining a team cumulative GPA of over 3.4, the Olmsted Falls High School boys varsity soccer team earned the school’s sixth All-Ohio Team Academic Award and the program’s 4th National Scholastic Soccer Coaches Association Team Academic Award. Senior Mike Payne also earned The National Soccer Coaches Association of America High School Senior Excellence Award, an award honoring exceptional contributions to the team while exemplifying the finest attributes of a high school student-athlete. To view a photo of the team and their honors, click HERE. The team’s website is HERE. Congratulations to these fine student-athletes. 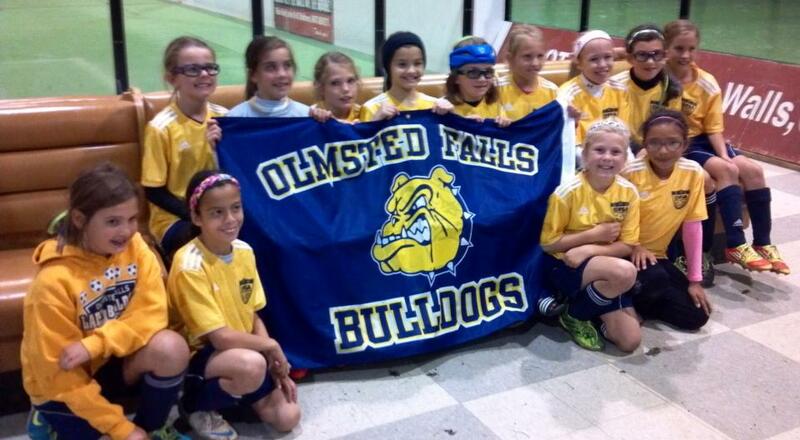 DEADLINE TO ENTER OLMSTED FALLS PTA REFLECTIONS CONTEST IS MONDAY AFTER THANKSGIVING BREAK! 4TH ANNUAL HOLIDAY SKILLS BASEBALL CAMP! Campers will receive specific baseball instruction from the Bulldog coaching staff, current Bulldog players, and Bulldog Alumni currently playing college baseball. Campers will participate in drills from all aspects of the game, including hitting, fielding, pitching, base-running, and more! Cost is $30 for this one day camp and includes a dri-fit camp shirt! We added 30 extra minutes for 2013, and we are also proud to announce that EVERY camper will receive a professional camp photo from Gengraphics that will go home with them that day! To download camp registration form, please click HERE. The Olmsted Community Center will have its first Kids Shop on Saturday, November 23rd where kids can shop alone for holiday gifts for their family, friends, teachers, coaches and others or make their own creations. Items range from $1-$5 in price. The shop is open from 9 a.m. to 4 p.m. at the Olmsted Community Center, 8170 Mapleway Drive. Parents are invited to stay and explore the rest of the shop, including concessions and a bake sale. Don’t miss this year’s 2013 Donauschwaben Kindergruppe Santa Brunch at the German-America Cultural Center on Columbia Road. Sunday, Dec. 1st – Doors open at 11 a.m. – Brunch served until 1:30 p.m. Brunch menu includes carved ham, vegetable frittata, roasted red potato hash, assorted rolls and pastries, fresh fruit salad, juices, coffee and tea. 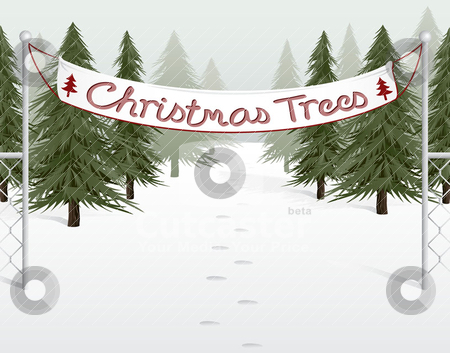 Visit with Santa, Mrs. Claus, and their elves! Crafts for kids and a raffle! Reservations can be made online or by phone. Click HERE for more details. 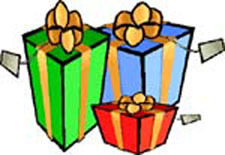 Children may holiday shop for family and friends in the one-stop Santa’ Secret Shop from 9 a.m. to 1 p.m. Saturday, December 7th at Falls-Lenox Primary School. The Cub Scout Pack 102 and its elves will help children shop for items ranging from $1-10. Gift wrapping is included. The Olmsted Performing Arts will provide entertainment. Parents may check out raffle items, including a VitaMix blender and Kindle Fire. All proceeds benefit the pack. 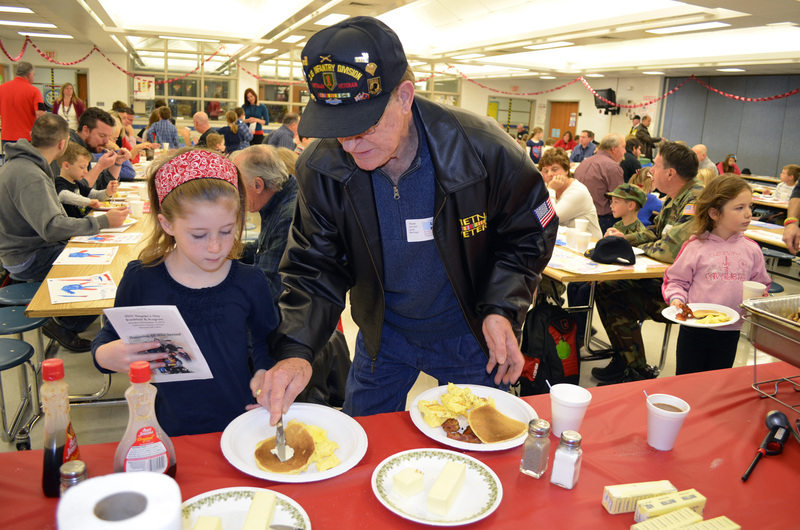 More than 100 veterans attended the Falls-Lenox Veterans Day Breakfast & Program Monday. The school enlarged its program and included a breakfast for military veterans and their families. The school asked students to “sacrifice for those who sacrificed” by giving up their snack or treat money for three days and donate the total toward the breakfast to help recognize veterans. They raised about $500, which provided breakfast for about 250 people – their related Falls-Lenox students. There were three sittings each followed by an outdoor program that included singing, short presentations, the raising of the flag and Taps, which a high school student played. The morning was enjoyed by veterans, their families, students and staff. Principal Colleen Longville was very pleased with the veterans’ attendance and the program, which likely will become an annual event. The Sun News on cleveland.com/olmsted ran a story with photos of the event. To view a photo gallery of the event, click HERE. 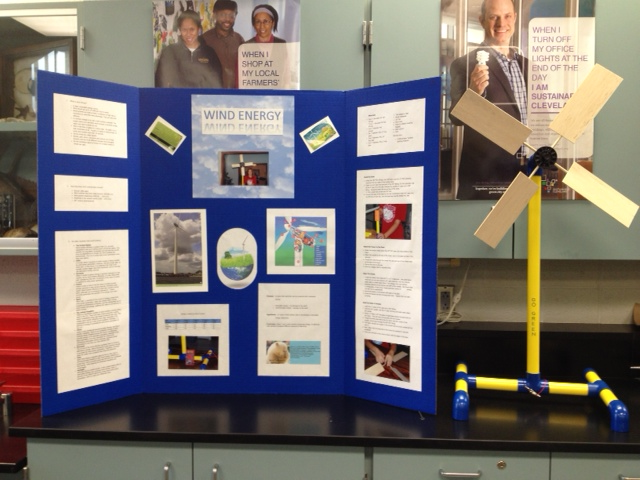 7TH GRADERS HOST SUSTAINABILITY FAIR TONIGHT FROM 6 – 8 P.M.
Don’t miss TONIGHT’s Sustainability Fair! TONIGHT, Thursday, November 14 from 6:00 PM – 8:00PM seventh graders at the Olmsted Falls Middle School are hosting a Sustainability Fair for the entire community! The seventh graders in Mrs. Dean’s science classes have been exploring a variety of methods by which they can improve the environment and begin practicing sustainable living at home. Projects and experiments include using worm composting bins to convert food scraps into fertile soil; building and maintaining a compost bin; testing homemade, nontoxic cleaning products against their commercial counterparts; as well as building and testing wind turbines and solar ovens. Also, some students are discovering the benefits of farmers’ markets, rain barrels, and rain gardens. In addition to the student displays, there will be 17 professional vendors that will provide valuable information regarding sustainable living. If you happen to be hungry, you may purchase a delicious slice of Il Forno Pizza in front of the middle school (weather permitting)! We look forward to seeing you! Approximately 200 parents and community members attended the meeting hosted by District officials and local safety forces this past Sunday at 3:00 p.m. in the Olmsted Falls High School Auditorium. The meeting was called to provide an opportunity for parents and residents to learn more about the recent string of hoaxes and evacuations in the District. Superintendent Dr. Jim Lloyd began the meeting with overview remarks which included information addressing some of the most frequently asked questions received to date. Dr. Lloyd’s remarks were followed with remarks from Olmsted Township Fire Chief John Rice and Olmsted Township Police Chief John Minek. Parents and residents then had an opportunity to ask questions of the panel, which also included Olmsted Falls Fire Chief Cornel Munteanu, local CERT Member Marty Palicka, OFHS Principal Holly Schafer, OFMS Principal Mark Kurz, OFIS Principal Don Svec and District Director of Communication Kim Petrina. Olmsted Falls School District would like to thank all of the parents and community members who attended the Sunday meeting, as well as our local safety officials who participated. The OFHS Masquers will present Arsenic and Old Lace November 15th and 16th in the high school’s auditorium. Both performances for the comedy are at 7:30 p.m.
Tickets cost $5 for adults and $3, students and senior citizens. They are available at the door of the performances or by calling 440-427-6070. OPERATION MEDICINE CABINET A SUCCESS! Saturday, October 26th marked the 7th nationwide drug take-back day sponsored by the Drug Enforcement Agency , in partnership with Drug Task Forces in Northeast Ohio, Sheriff’s Offices, local Police and Fire departments, Northeast Ohio Regional Sewer District, Drug Awareness and Prevention Inc., and many other local organizations. PTA and student volunteers assisted officers of the Olmsted Falls Police Department to collect over 20 pounds of potentially dangerous expired, unused, and unwanted prescription and over-the-counter drugs. Together, the partners helped residents in northeast Ohio safely dispose of 812 boxes and 11,958.1 pounds of outdated or unwanted prescription medications. If area residents missed the collection and would like to dispose of unwanted medicines, the Olmsted Township Police Department has a permanent drop box. Many communities have installed permanent drop boxes in local police stations. In Cuyahoga County, visit http://sheriff.cuyahogacounty.us/en-US/RxDrugDropBoxProgram.aspx for a list of locations; or all other counties, visit http://rxdrugdropbox.org/ . Many thanks to the Olmsted Falls Police Department, Mrs. Ann Simon and our student volunteers Emily Olszewski and Michael Simon for making this a successful event. ANNUAL OFIS/OFMS COMBINED PTA MEETING – THIS TUESDAY, NOVEMBER 19TH! Attention all OFIS and OFMS parents! Mark your calendar for this Tuesday’s annual combined meeting of the OFIS and OFMS PTAs. This annual combined meeting will take place Tuesday, November 19th at 7:00 p.m. at the Middle School. We hope to see you all there! 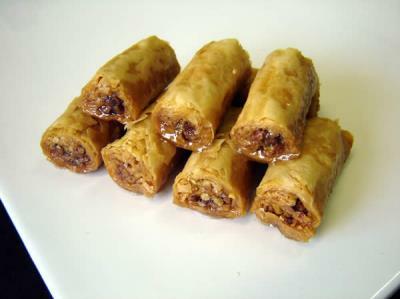 – Families whose last name begins with M-Z are being asked to bring a dessert. All should bring serving utensils; and please remember to bring home your supplies. Thank you in advance for helping ensure that there will be enough food for our hungry athletes and their dedicated family members. 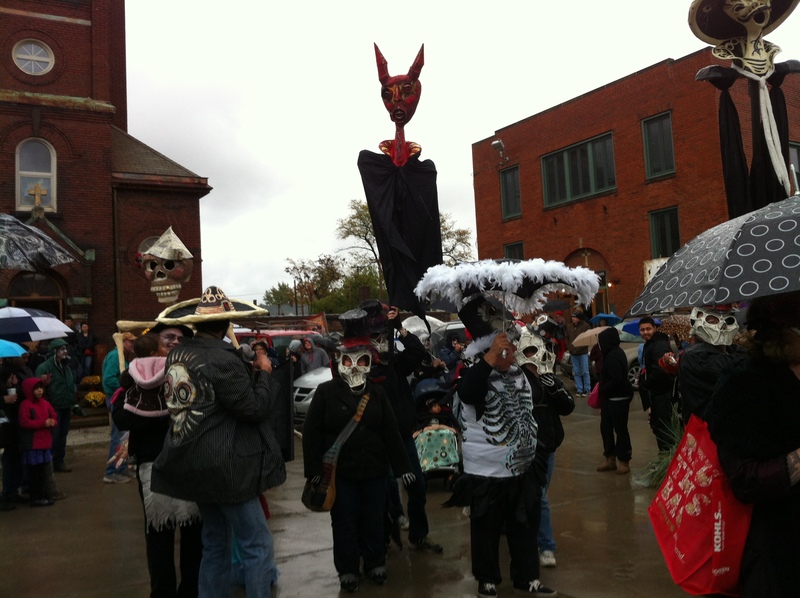 The Multicultural Club participated in the Day of the Dead Celebration at Gordon Square, in Cleveland, on the 2nd of November. Students had the opportunity to experience an authentic Mexican celebration, featuring parades, arts and crafts, altars filled with pictures and food, and Mariachi music. Thanks to Mrs. Schafer and Mr. Baker for providing the club with a bus to get to this unique celebration! FALLS-LENOX FUNDRAISER PICK-UP – NOVEMBER 21ST! This is a reminder to all ECC and Falls Lenox parents the pick-up for the Falls Lenox Fundraiser will be on Thursday, November 21st from 3:30 – 7:30 during Parent Teacher Conferences. Thank you. OFMS WEB REUNION EVENT SCHEDULED FOR TUESDAY, NOVEMBER 26TH! The middle school just finished hosting a Scholastic Book Fair, which ran from Nov. 4th – 12th and was open for both conference evenings until 7:30 p.m. OFMS would like to thank all the staff, students and parents who supported the fair. This year’s fall book fair was a huge success and all book fair profits will go towards new books for the Middle School Media Center. OFMS would also like to thank the PTA volunteers who worked the fair and helped made it such a success. We truly couldn’t host these book fairs without all the help from our wonderful PTA. This year’s volunteers included: Tracy Knierim, Doleda Howard, Nicole Allmandinger, Susie Asadorian, Joanna Bernard, Donna McKee, Tammy Walston, Deidre Little, Angela Fonseca, and Anissa Lewis. Thank you again to everyone! Support the newest sport for girls and boys in town. The Olmsted Falls Lacrosse Association offers a night out from 7-9 p.m. Saturday, November 16th at the Upper Deck, 375 Bagley Road, Berea. Tickets, which cost $20, include refreshments, pizza, wings and rigatoni. There will be raffle boards, 50/50 and gift baskets, too. 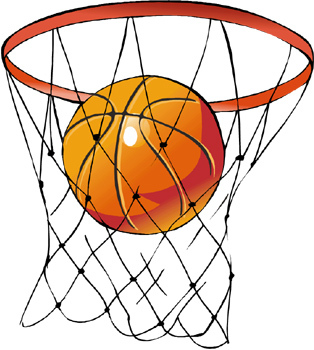 This year’s fundraising activities will assist in further growing the program with additional high school uniforms as there will be JV and Varsity boys’ teams and more girls playing as well. The money raised also will help keep registration fees at 2013 levels. Please contact olmstedfallslacrosse@yahoo.com for ticket information or Kelly Atkins at bobcatteach@gmail.com with donations of gift basket items or funds toward the big ticket item. 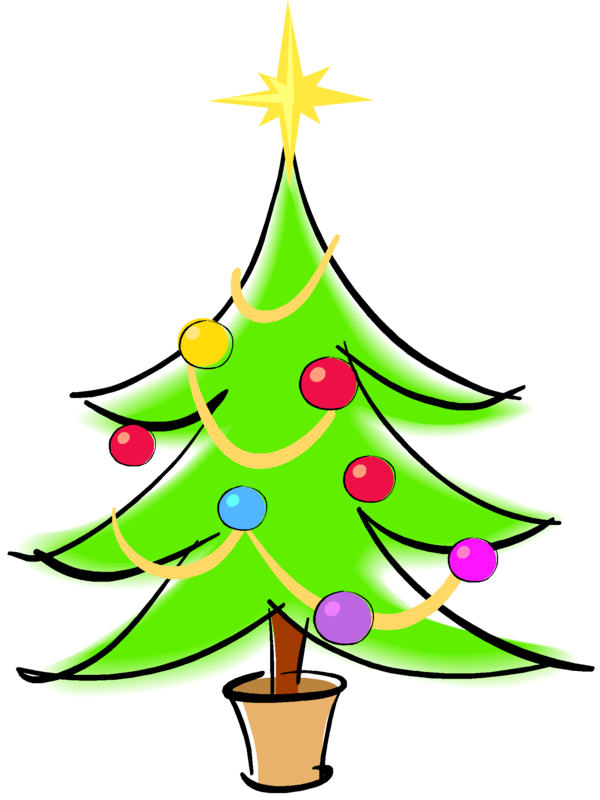 Children may holiday shop for family and friends in the one-stop Santa’s Secret Shop from 9 a.m. to 1 p.m. Saturday, December 7th at Falls-Lenox Primary School. PARENT/COMMUNITY SAFETY MEETING THIS SUNDAY, NOV. 10TH @ 3 P.M. THIS SUNDAY, NOVEMBER 10TH AT 3:00 P.M. Olmsted Falls School District will hold a community meeting for parents and residents to discuss the recent string of bomb threat hoaxes and building evacuations. This meeting will be held at the Olmsted Falls High School Auditorium, and is open to all parents and residents. The Olmsted Falls School District will lead this meeting in partnership with Olmsted Township Police Chief John Minek and Olmsted Township Fire Chief John Rice. We look forward to the opportunity to discuss recent events directly with the community. Please forward this information to your family, friends and neighbors throughout the community who may be interested in attending. ALL ARE WELCOME! * TRAFFIC NOTE: Beginning Saturday morning, Bagley Road will be taken down to one lane from Old Fitch Road to the Intermediate School driveway for road repair and repaving. Traffic will be maintained for the duration of the project, which is anticipated to be finished by end of day Monday. While no road work is scheduled for Sunday, November 10th, we did want to make you aware of the project. Please follow signs and take care in driving on that stretch of road. 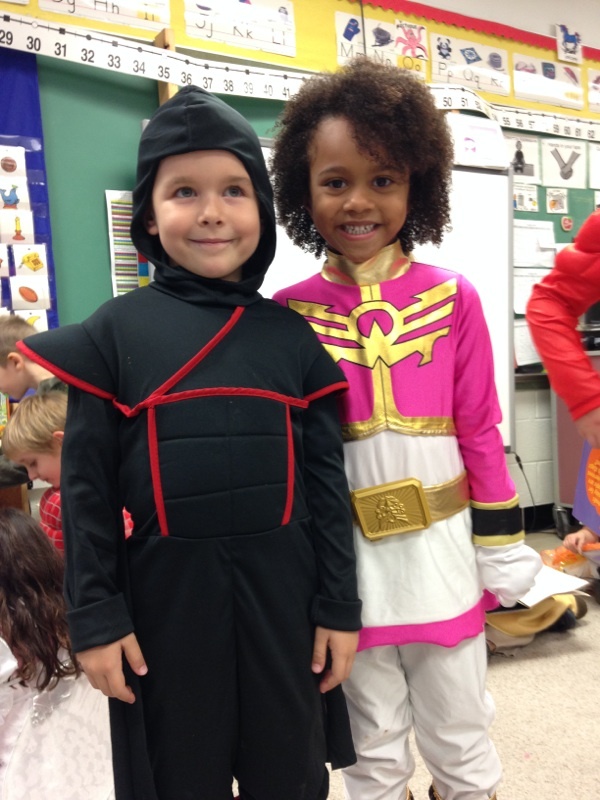 Staff and children celebrated Halloween in their various schools. Many school personnel and families shared photos taken inside rooms, hallways and outside. Falls-Lenox Primary School Principal Colleen Longville said the school had its annual parade followed by classroom celebrations with food and fun activities. She thanks all for their support and family involvement to create a safe, enjoyable afternoon. For photos of ECC, click HERE. For a photo gallery of Falls-Lenox Halloween, click HERE. OFIS also shared photos, which are available HERE. This past Tuesday’s general election asked voters in our community to vote on Board of Education members to fill three open seats, as well as to vote on Issue 86, the 1.8 Mill Bond Issue to address overcrowding, safety and security issues at Olmsted Falls High School. Current Board of Education member Joe Bertrand was re-elected and will continue to serve on the Olmsted falls Board of Education. In January, Olmsted Falls will also welcome two new Board of Education members – Mrs. Linda Parkowski and Mrs. Holly Neumann – as long-time Board members Rhonda McCrone and Michelle Theriot officially retire from public service to our school district. Congratulations to Mr. Bertrand, Mrs. Neumann and Mrs. Parkowski. Unfortunately, Issue 86, our Bond Issue to address overcrowding, safety and security at OFHS was defeated. (Official polling data broken down by precinct will be provided as soon as it is available.) 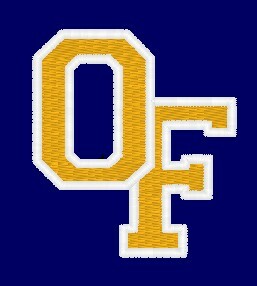 The defeat of Issue 86 does not eliminate the need to address issues at Olmsted Falls High School. We will continue discussions about these important needs and make a determination about placing the bond issue on the ballot. Olmsted Falls School District wishes to thank those that participated in the campaign to inform the community about Issue 86. Your efforts were very much appreciated. What is HHPLC? Olmsted Falls Parent Leadership Council has been formed to support the unique learning needs of children within the district. Comprised of representatives of the school district administration and parents of children with special needs, the group strives to create a forum for families to share and request information to support their children*s education planning, including preparing for IEP meetings, transition planning, social development and behavior support. Please email Mariel Krakowiak (mkrakowiak@ofcs.net) if you require child care during the meeting. Child care is provided by the students in the Helping Hands group. If you cannot attend our meeting please visit our website/blog for HHPLC updates: http://helpinghandsofcs.wordpress.com. Thank you. 7TH GRADERS TO HOST SUSTAINABILITY FAIR – THIS THURS., NOV. 14TH, 6 – 8 P.M.
Mark your calendars! On Thursday, November 14 from 6:00 PM – 8:00PM seventh graders at the Olmsted Falls Middle School are hosting a Sustainability Fair for the entire community! 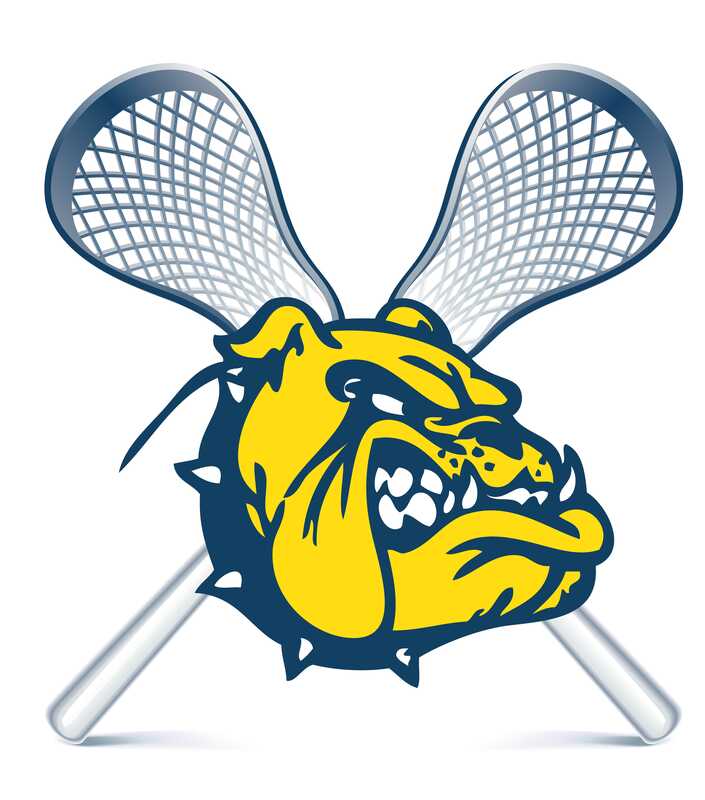 Come see the 2013-14 Varsity Bulldogs in the first annual “Blue & Gold” Scrimmage! Payment must accompany the order form, which is HERE. Cash or checks should be payable to ‘OFHS Post Prom.’ Order deadline is Sunday, December 15th with a 5:30-7 p.m. Monday, December 23th pick-up time at the high school.